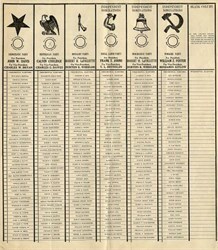 Historic Presidential Election Ballot for the 1924 Election. This historic document shows the various political parties, their nomination, and a symbol of their party. This item is over 86 years old.